If you’ve never knitted socks before, today is the perfect time to start! 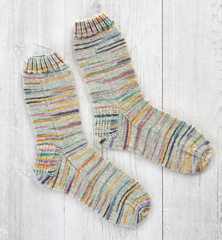 This simple sock pattern, complete with twisted rib cuff and heel flap worked back and forth in rows, is a great introduction to the world of sock knitting. 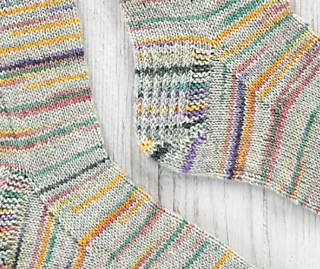 The twisted rib cuff holds its shape well, and the heel flap is worked back and forth in rows in a slip stitch pattern with garter stitch borders. Instructions are given for knitting with DPNs or with Magic Loop method.